As a former business owner and a current business consultant the topic of “who to bank with” has come up many times. So I decided to write a comparison blog in regards to Credit Unions vs. Banks. I will review them for both business and personal banking. Both institutions provide many of the same basic services, however there is one major difference between the two, which tends to affect their customers dramatically. Banks are “For Profit” and Credit Unions are “Not for Profit”. Banks are responsible to their owners, who are usually private or they are public stockholders. Their goal is to make money for their owners. Credit Unions have the same goal. Bring benefits to their owners. Their owners happen to be the “members” of the credit union. The members are those that bank with them. A not for profit, doesn’t mean that they don’t want to make profit, but it means that the profit they make goes back to the members of the credit union. This usually comes via lower to no fees and higher interest rates on investments. Credit Unions tend to have a limited amount of branches, and they usually are hyper regional based off of their main office. However, with the technology of mobile banking and ATMs, the amount of locations usually isn’t limiting to a small business. Banks can have a national and even international footprint. Usually there are many locations to choose from. This is a huge advantage to national and international businesses, but not much of a benefit if you are a small regional business. Credit Unions tend to have fewer direct ATM locations, but usually are connected through a co-op network to other ATMs across the nation. Usually there are no fees associated with using one of their direct ATMs or an ATM in the network.. However, if you can't find an ATM in their co-op network, any ATM works, but fees may be incurred. Many credit unions reimburse members any ATM fees up to 4 times a month. 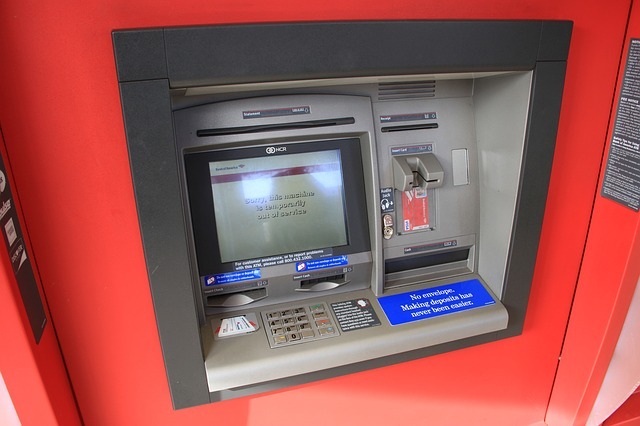 Banks typically have ATMs at each of their locations and many at other locations like retail stores and sports venues. However, they usually charge fees for using an ATM outside of their bank. They do tend to have more options internationally, but fees still apply. Credit Unions are hit and miss when it comes to offering business banking, but many are catching on and beginning to offer business banking options. Most offer business banking for free. Some are now offering interest payments on business checking each month. I found one offering 1% interest on business banking balances up to $500,000. Banks typically offer basic services for small businesses. However, they typically charge fees for many business services, including checking. Research all fees before signing up for your business. Banks are famous for charging fees anywhere they can. Credit Unions usually offer some basic loans if they offer Business Checking & Savings. Basic loans include a business Line of Credit (LOC), business auto, and commercial property loans. They are usually not a good resource for acquisitions or the start up loan for a new business. Their rates tend to be the best on the market. They use the profits they make to decrease loan rates. Banks typically excel with loans to businesses. However most loans will likely have higher rates than a credit union. Most work with the SBA to provide loans for purchasing an existing business, start up loans, and acquisitions once you are in business. They offer all other types of loans as well, including a business LOC, business auto loans, and commercial property loans. Business loan options are the greatest strength of banks over credit unions. Credit Unions usually are very good at customer service. The customers/members own the Credit Union and so the service tends to be good to the “owners” of the business. If they have 10 branches in two counties, and you are one of their largest business customers, it’s easier to get the things you need, as you probably know someone on their board of directors in your hometown. Banks are not usually known for their customer service, and they typically have more fees than Credit Unions. It’s much easier to get lost in the crowd with a large banking institution. It’s not likely that you know someone on the board of directors, or that your business is of any significance to the bank. My overall recommendation for small business owners are credit unions. You will need to find one that offers business services, but the benefits far outway the drawbacks. I personally ran my family’s disaster restoration business while banking with a Credit Union. At the end of the year, when I ran my profit and loss statement, the category of “bank fees” usually read $0. Once in awhile I would have a returned check fee, but I’d then turn around and charge the customer for the fee. While reviewing a profit and loss statement of one of the business owners that I support, his year end P&L showed over $1,200 for bank fees. I asked what the fees were for as I worried he was getting overdraft fees and not managing his cash flow properly. He said they are the fees charged to him for running a basic business checking and savings account through the local bank. In a business his size, that $1,200 could easily buy him another piece of revenue producing equipment. While I was with my credit union during my business ownership years, I also appreciated that the credit union knew who I was, and would work with me on things like free notary services and free cookies every Friday. One of the quickest way to get my loyalty is through food. 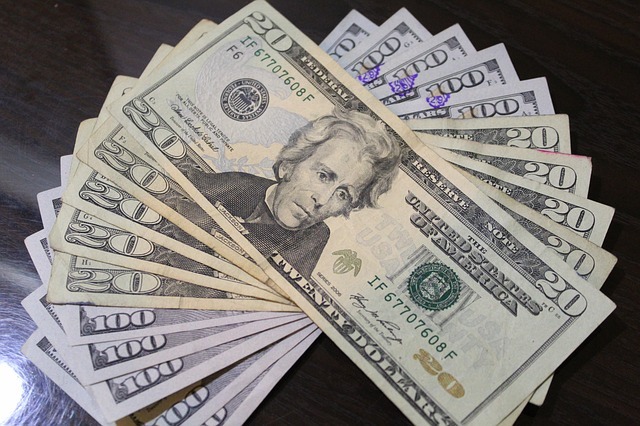 I also run my personal accounts through them and receive 2% return on money in my checking account up to $20,000. I’m about to move and I’m looking at a credit union that offers 3% on your money in your checking account. If it’s a profitable credit union, the money goes back into your pocket. I’ve also never paid for an ATM fee (other than when I was outside the United States). If there was a charge, my credit union reimbursed me. Not only are credit unions a great option for your personal checking, but they offer much for small businesses as well. If you currently run a small business, take some time to research the credit unions in your area to see the savings and service you could obtain.